As people took to Twitter to post pictures and videos their harrowing commute to work amidst the chaos, some joked about needing boats, and even submarines, to make it to office on time. 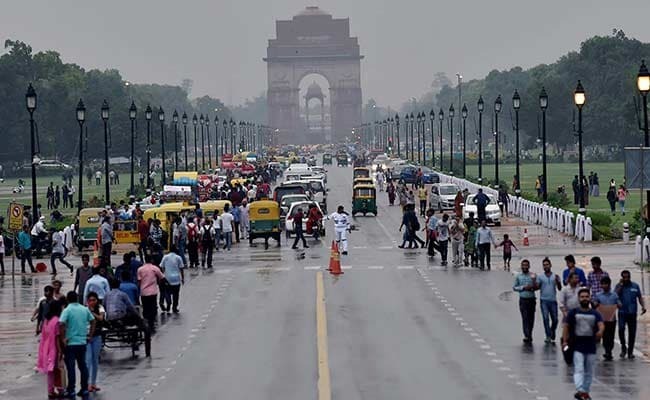 New Delhi: The national capital woke up to rain on Thursday morning, with 25.8 mm rainfall recorded till 8.30 am. And while the rain caused the temperature to drop slightly, it also, predictably, led to waterlogging and traffic jams across the Delhi NCR region. As people took to Twitter to post pictures and videos their harrowing commute to work amidst the chaos, some joked about needing boats, and even submarines, to make it to office on time. #DelhiRains trended on Twitter though the morning. #DelhiRains It's awesome only if you're at home. Otherwise you'll be doing scuba diving for free. All you need is just to carry a scuba.